One in five young people born in the UK at the turn of the century was obese by the age of 14, and a further 15 per cent were found to be overweight. Researchers from the Centre for Longitudinal Studies (CLS) at the UCL Institute of Education analysed information on more than 10,000 teenagers who are taking part in the Millennium Cohort Study. These latest findings reinforce the importance of plans from UK governments to tackle the childhood obesity epidemic over the coming years. In response to public concern over childhood obesity, the most significant steps in recent government policy include the introduction of a levy on added sugar in soft drinks in April 2018, and a programme to reduce sugar across a range of products by 20 per cent by 2020, alongside reductions in salt and saturated fat. The report from CLS, which is published with a briefing paper on Thursday (7 December), reveals that although the same proportion of boys and girls were obese (20%), rates of overweight were slightly higher for girls (16%) than boys (13%). Rates of excess weight varied by country, with almost 40 per cent of young people in Northern Ireland overweight or obese, compared to 38 per cent in Wales, and 35 per cent in both Scotland and England. There was a clear link between young people’s weight and their mothers’ level of education. Almost 40 per cent of 14-year-olds whose mothers had only GCSE qualifications were overweight or obese, compared to 26 per cent of those whose mothers had a degree or higher qualifications. In addition, children who were breastfed as infants, and those whose parents owned their home, had lower odds of being overweight and obese at age 14. 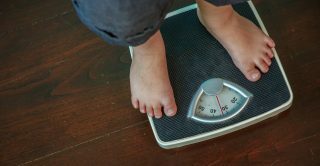 The researchers also analysed information on children’s height and weight at ages 3, 5, 7, 11 and 14, to uncover patterns of weight gain across childhood. They found that rates of overweight and obesity increased slightly from ages 3 to 7, but rose significantly at age 11, from 25 per cent to 35 per cent, with this increase being especially strong among boys. By age 14, however, they discovered that rates of excess weight had stabilised. While boys were slightly less likely to have become overweight and obese than to have become a normal weight by age 14, for girls the opposite was the case. Professor Emla Fitzsimons, co-author of the study, said: “Childhood overweight and obesity is a global concern. Children who are overweight or obese face an increased risk of many health problems later in life, including cardiovascular disease and type 2 diabetes. Overweight and obesity are also associated with psychological problems such as low self-esteem and depression, and with lower educational attainment. ‘Prevalence and trends in overweight and obesity in childhood and adolescence – Findings from the Millennium Cohort Study, with a focus on age 14’ by Dr Benedetta Pongiglione and Professor Emla Fitzsimons. At age 14, the study participants had their weight, height and body fat measured. Levels of overweight and obesity were based on their body mass index (BMI), which measures the ratio between height and weight. It is calculated by dividing weight in kilograms by squared height in metres. The current study uses the UK90 classification system for defining overweight and obesity.